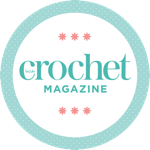 Have a question about Inside Crochet or need to get in touch with a member of Inside Crochet team? Please either call us during office hours 01202 586848 or contact us below. Pattern queries: If you’re getting in touch with a query about a specific pattern, please make sure you let us know which issue it was in.